” chart, which can further add to the confusion about weight loss. Now, let me ask you a question. Is your goal really weight loss? Unless you are trying to make a weight class for wrestling or some other sport with weight classes, you may think that your goal is weight loss, but it really isn’t. You are trying to lose that flubbery stuff attached to your body called FAT. Correct? Our water weight fluctuates constantly. For instance, when we exhale water vapor comes out. When we sweat, we are sweating out water. There are also many more factors that can affect the amount of water in our body. Water is what usually causes those random gains or losses of a pound or two in weight that can make you happy or sad. It is almost physiologically impossible to lose a pound of fat in one day. One reason the low-carb or no-carb (also called ketogenic) diets are so attractive is because of the large initial loss of weight. However, this weight is not necessarily fat. When carbohydrates are restricted the body has a backup store of them located in the liver and muscles in the form of something called glycogen. The human body can store approximately 400 grams of glycogen. In larger individuals this number can increase. In addition to this, for each gram of glycogen stored in the human body, 3 grams of water are also stored. If you figure it out, this would equate to about 1600 grams (3.5 pounds) of glycogen and water. One of the simplest ways is to use a caliper. You can usually find these at your local sporting goods/fitness shop. If you can’t find them locally, you can order them off the internet. Calipers measure the thickness of a skin fold on your triceps. Then there are directions that come with the caliper that show you how to use the number you get to derive your body fat %. If you don’t want to go out and buy some calipers, there is a body fat % calculator on my website. The calculator uses the circumference of several parts of your body and then plugs them into a formula developed by the U.S. Navy to derive an approximation of your body fat %. If you insist on knowing your progress by weight loss and want to use a scale, try to weigh yourself at the same time everyday. Probably the best time would be right when you wake up in the morning and before you do anything. So, your new goal should be to shoot for fat loss and not weight loss. Don’t necessarily trust the scale all the time as it can be deceiving - your weight is affected by more than just how much fat you have gained or lost. In additionScience Articles, it is almost physiologically impossible to gain or lose a pound of fat in one day. 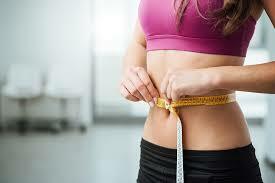 Women's Diet Trends: Is Your Goal Really Weight Loss?